Genuine Canon LP1219 lens pouch. Compatible with Canon EF 50mm f/1.0L, EF 85mm f/1.2L, EF 100mm f/2.8, EF 135mm f/2.0, EF 24-70mm f/2.8, EF 28-70mm f/2.8L. Will also suit other lenses, not just Canon. Lowepro 8x6cm Lens Pouch - Fits The Canon 50mm 1.8 Perfectly - Check Other Items. Completely clean and perfect. Like new. 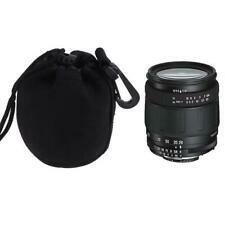 Fits the Canon 50mm 1.8 I am also selling so please check out my other listings. If you win/buy both then I will combine postage. Dispatched with Royal Mail 2nd Class. Genuine Canon LP1319 lens pouch. 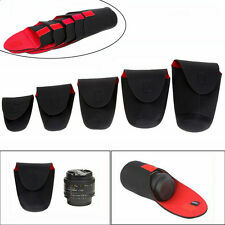 Compatible with CanonEF-S 10-22mm f/3.5-4.5 USM, EF 16-35mm f/2.8L USM and EF 17-40mm f/4L. Will also suit other lenses, not just Canon. 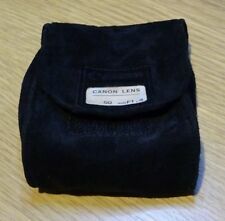 Canon LP811 Soft Lens Pouch for EF 24mm f2.8 Lens/EF 1.4xII Extenders Condition is New. Free P&P! Light use only, minor general wear I will deal with any issues promptly and fairly. About the item: This item is associated with the following MPN(s): 2784A002, LP811. WE WILL BE HAPPY TO WORK OUT ANY PROBLEMS/ISSUES RELATING TO YOUR ORDER. 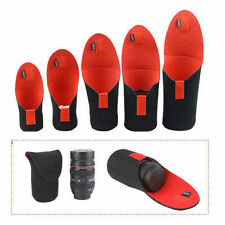 Canon LZ1326 Lens Zipper Soft Case EF 300mm f/4L IS USM Protector Pouch Cover. Condition is Used. Thanks for Looking!! You can enjoy taking photos with the lens in good condition. Grade: Near Mint. ◆Appearance of the item. Neewer NW-L2070 Black Padded Water-Resistant Lens Pouch Bag Case with Shoulder Strap for 70-200mm Lens, Such as Canon 70-200/2.8IS, 100-400, 180mm / Nikon 70-200, 80-400, 180-2.8 Features: Neewer NW-L2070 Lens Pouch features ultra thick padding, offers great protection and shock absorption for your lens Sturdy water-resistant exterior material ensures additional all-around safety Inner Size: 110 x 230mm. Suitable for 70-200mm lens. Compatible with Canon 70-200/2.8IS, 100-400, 180mm / Nikon 70-200, 80-400, 180-2. Marke Canon. There are no limits to their imagination. Sized For Accessory: Lens. To Fit Accessory: Lens. Type Compact Cases/Pouches. it looks good. I would rate it an 8, on a scale from 1 to 10. Made from synthetic leather. UPC Does not apply. 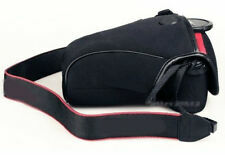 Model number: Canon lens pouch LP 1019. Explanation: For each EF lens, prepare a case with sufficient consideration of functionality, robustness and design. You need to get an import permit from Ministry of International Trade and Industry tog get your item if your item is more than 1000 MXN. One (1) Canon XL SC-5 Video lens case. Compatible Series For Canon EOS. Sized For Accessory: Lens. To Fit Video Lens. MPN XL SC-5. Model XL SC-5. Canon Leather Bag XL SC-5 8202041. For sale isCanon Leather Bag XL SC-5. It is approx. You can enjoy taking photos with the lens in good condition. ◆Appearance of the item. I will look it for you. Laser Printers. USB/Pen/Key/Flash Drives. LP-1019 Lens case for EF75-300 f5.6 /2 & /3, EF75-300 f4 /2 & /3, EF100-300 f4.5. Images for illustration purposes only. Wireless Networking. Multifunction Printers. Material: Neoprene. We will give you a satisfactory solution for sure. 1X Middle size lens bag. 1X Small size lens bag. NOTE: Bag only, Lens not Included. 1X Large size lens bag. 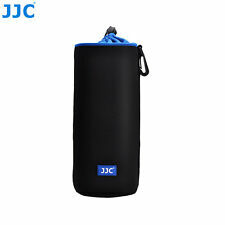 1X X-Large size lens bag. 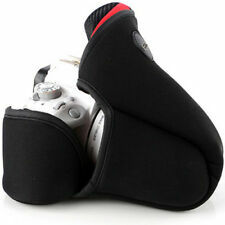 Canon EX 35mm f3.5 AUX Teleconverter Lens case pouch 3X3"
Case has been use, but it looks OK. It is very clean. Case is fully operational. I would rate it at 8 or very good out of 10. Size 3X3". Type Compact Cases/Pouches. Material Synthetic Leather. (for Canon = 400mm f2.8). Canon Case is also REALLY rare in or out of UK! Laser Printers. USB/Pen/Key/Flash Drives. Functional, rugged and well designed. Indispensable for protecting valuable lenses. Images for illustration purposes only. Other Drives and Storage. Tape and DAT Drives. LP-814 Lens case for short zoom lens incl EF-S 18-55mm lens. Laser Printers. Images for illustration purposes only. Wireless Networking. Multifunction Printers. Other Drives and Storage. Tape and DAT Drives. GLASS & CERAMIC HOB SCRAPER KNIFE CLEANER & 5 BLADES COMFORT GRIP. Gender Changers. Li-ion Battery - Sony. AC Power Units Sony. Camcorder Power Sony. AV Cable - Sony. USB - Sony. Lens Cases. Water-resistant Red EVA Hard Case for iOTA One limatt70(11). Compatible Product Line EF 50mm f/1.8 II; EF 50mm f/1.4 USM. COMPATIBILITY: Canon EF 50mm f/1.8 II; Canon EF 50mm f/1.4 USM. Finished in an executive black, this case is both stylish and secure, providing great protection for your valuable device.